The design of a seaworthy chair for military use in Navy submarines and warships was the starting point for the Emeco company. The 1006, also known as the Navy Chair, is now a design classic that has sold a million pieces since 1944. Emeco has since refocused its business and today works with architects, designers and retailers. including Frank Gehry, Philippe Starck, Sir Norman Foster and Andrée Putman. 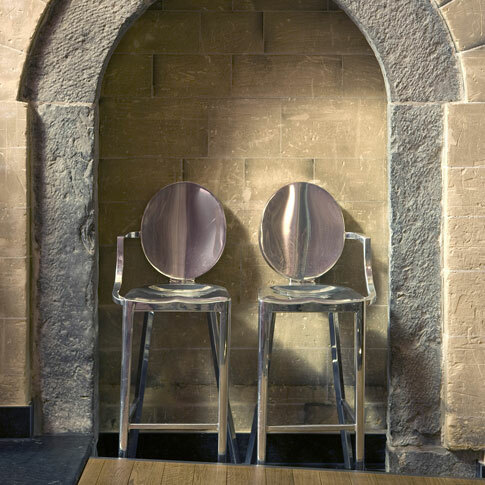 In 2002, MoMA commissioned Emeco and Philippe Starck to design a simple stool for its Mies van der Rohe retrospective. Today the Emeco Stool joins the collection as an instant classic.